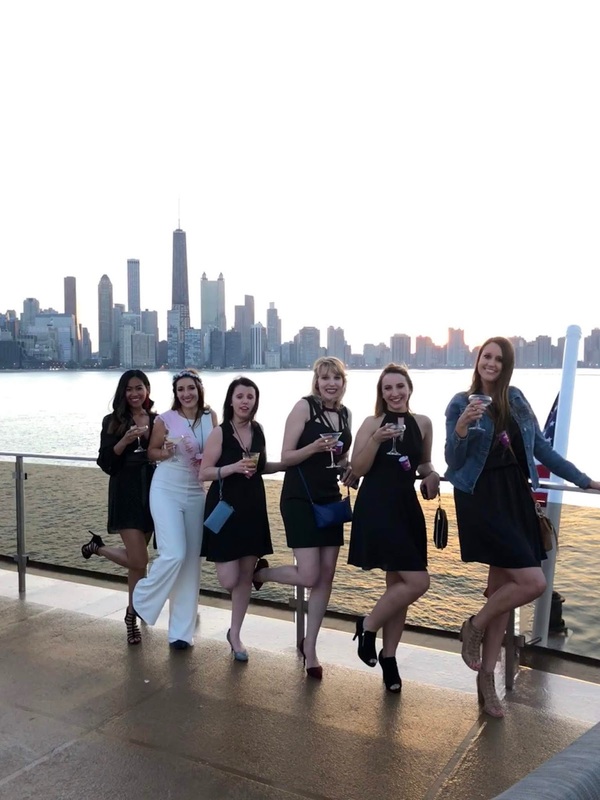 While there are plenty of ways to throw bachelorette parties (especially in Chicago); one of the classiest and most memorable ways to celebrate your girl’s bachelorette party is to have it at The Odyssey Dinner Cruise in Chicago. From beautiful skyline views to unlimited champagne popping and grooving on the dance floor all night long; it’s the best and only way to celebrate for any special occasion. Mel and I have known each other since the 6th grade and have remained friends since. We both grew up in the same hometown and went to the same high school. Though we went to separate colleges; we were lucky enough to both attend school in the same city, Chicago. Most of my college memories were with Mel, and they were always a good time. After college, we still kept in touch; however both now live in two separate states. For her bachelorette, she decided to have it in Chicago. So I thought what better way to celebrate her as well as reunite in a city we both have the best memories in than to host a dinner on the Odyssey. 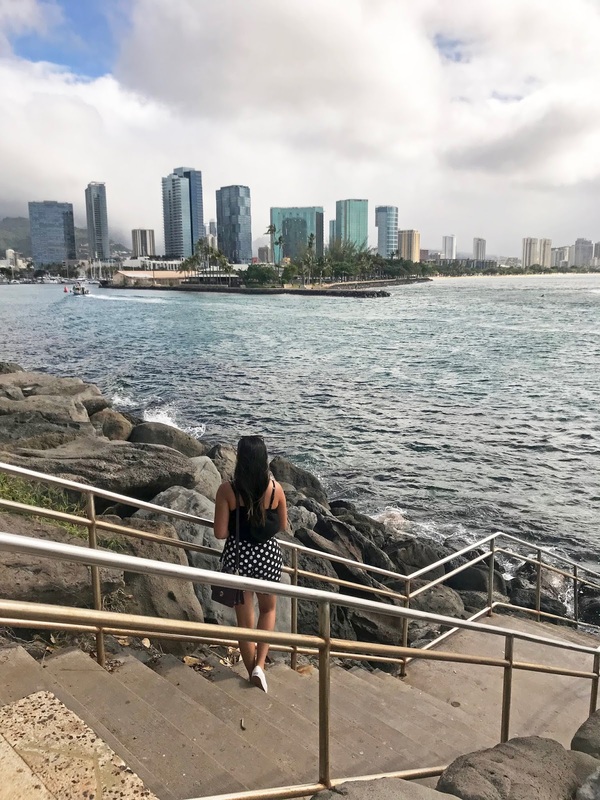 We both lived and went to school in the city for years, but both have never done the dinner cruise – so it sounded like the perfect plan! Months before her actual party weekend, I contacted the Odyssey and set up a dinner cruise for the bachelorette party of 6. The Odyssey docks at Navy Pier (which is one of Chicago’s most iconic must-see attractions) and as you board the boat, you can head upstairs for a preview of what is to come. The boat leaves promptly and heads out into Lake Michigan for a 2-3 hour tour. We started the night off with champagne (of course) and made our way upstairs to get in a few group shots before the sun went down. Afterwards, we headed downstairs and enjoyed our 3 course dinner. We received a menu and selected from their options. Our waiter and the overall staff were amazing. They were very helpful and accommodating. As the night went on, and the drinks were flowing, it was time to hit the dance floor! There were a few events happening that night such as prom and other bachelorette parties; everyone got together and danced all night long. What does a standard dinner ticket include? If you’d like, there are also add-ons to your package such as specialty appetizers and entrees and a bottle of champagne. Craft cocktails, beer and wine are also available for purchase. Our favorite part I’d say was the amazing full skyline views of Chicago. Though, I live in the city of Los Angeles and love it, Chicago will always be my favorite city and will always be my home. Overall, it was a night to remember and definitely an experience I would recommend for both locals and tourists. For more info, check out their site here and to book click here. Thank you to the wonderful PR team for setting us up and to our servers and the Odyssey Cruise team for hosting an unforgettable experience.